Susan is an experienced Executive Director and former senior leader with multiple growing organizations over the past 30 years. Her experience in for-profit and non-profit sectors as a skilled executive, team builder, and intuitive communicator have driven consistent successful results. She is skilled at motivating others toward success, strategic and financial planning, development strategy, and collaborative leadership. Most recently, Susan led College Access Now as both Executive Director and subsequently as Interim to facilitate further leadership transitions. Her background is also deep in Development strategy and implementation. She has lead fundraising for 10,000 Degrees, Hospice by The Bay, and The Ritter Center. She is adept at working across multiple disciplines in growing organizations, formalizing mission-based program strategy, architecting mission alignment, matching near and long-term staffing needs; and providing mentoring, training and leadership. She is passionate about developing diverse workplaces with staffing representative of communities served. 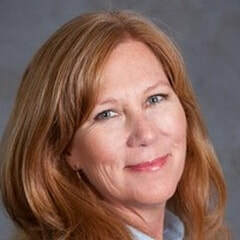 A graduate of Sonoma State University and the University of Washington, Evans School Non-profit Leadership Program, Susan is a first-generation college graduate with two adult children who attended and graduated from colleges in the Midwest.